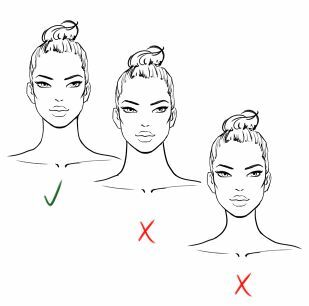 Teya teaches you all about her proven knowledge that has helped her in drawing professional, irresistible and flawless figures over the years. Watch the video to learn more about the course. This Course is More Than an Ebook! 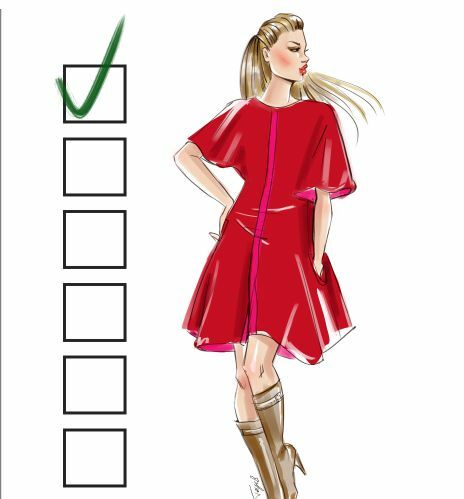 Learn how to draw fashion figures of men and women of all age and sizes. You get all the practical knowledge that helps you create figures like lingerie models and more! Give your art the breathtaking impact it deserves. Learn the best ways of positioning the model (or group of models) in the paper ‒ resulting in a professional, yet seductive look. PROFESSIONAL FIGURE DRAWING ‒ EVERY TIME! 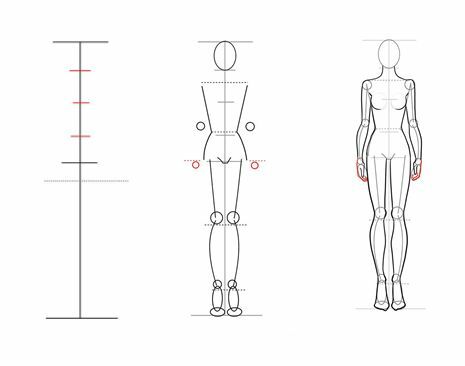 Get in-depth insight into Teya’s proven and effective formulas on how to focus and draw a balanced front view pose, every time you sit down to draw a fashion figure. How can you be sure that what you’ve crafted is void of any errors? With an exclusive tool, included in this course, ensure that your creation is flawless and the body proportions of the model you’ve created, are just right. Understand what makes a good drawing look bad. Get an extensive insight about common errors and failures of fashion sketching and learn how to quickly get over them. Stand out from the crowd by becoming a unique illustrator/designer that has her own voice. Explore plethora of figure drawing styles and learn unique ways of approaching them. 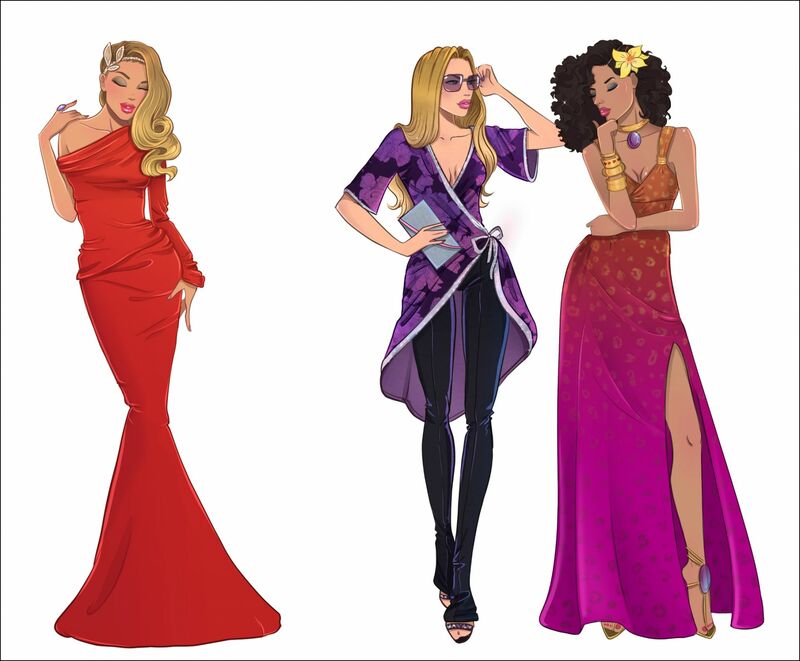 FASHION FIGURES 101: Looking to grasp the concept of how to draw fashion figures in no time? In this course, you will learn the formula to create fashion figures with perfect proportions every single time. The courses are so interesting and simple, at the same time they contain a lot of important information. The lessons start from the basics, followed by well thought examples and explanations for each theme. Everything is so professionally made! Everything explained is so easy to understand and comprehend! Thank you Teya! LOVE IT! Very easy to use as a website, extremely helpful materials, clearly explained, step by step guide which is always a plus. I am a professional fashion designer and illustrator. I’m also a tutor at National Academy of Arts, Bulgaria with over 8 years of experience. I love sharing what I've learned over the past years and I provide that knowledge as expert creative tips that helps you to level up your artwork in no time. If you're familiar with my blog, then you know that I love bringing in the information to you in the most effective way possible so it’s easy to digest, simple to follow and highly practical as well. This course is the epitome of the information I share in my blogs, and provides an in-depth knowledge on fashion drawing, figure sketches (and more) that you need to surpass your limits. Does this course have lifetime access? Absolutely! The course is available for a lifetime. I’ve designed this course this way, so you can learn it at your preferred pace. You can also replay the course as many times as you’d like to. Will I be able to access all the content at once? Yes. Every bit of content (in the course) is available immediately after you enroll. You can skip some parts of content that you already have strong basis about and learn what you really want to. This can help you to complete the course faster. However, I recommend you do the entire course as it will help later. Each course will roughly take 3 to 6 hours (depending on your pace) but since they’re easy to digest, and are organized in small segments, you will have no trouble completing the course in a short period of time. Referring to the segments is also easy whenever you have questions in your mind or wish to recall something. Absolutely nothing. You can take the test again, whenever you want. The exam is only necessary to make sure our certificate is considered authentic and credible. Once you’ve become a professional fashion artist, you will pass the exam with flying colors. Do you offer other professional courses as well? Yes, I do. In fact, this course is a part of The Fashion Figure MasterClass [6 -in-1 ] where every little detail related to drawing the figures is covered. This includes: how to create endless poses, how to draw hair, faces, hands and feet and more. I’d recommend you enroll in that course once you’re certain that you’re a skillful fashion artist and are willing to take things even further. Shoot me an email at: academy@idrawfashion.com. I will personally answer all your questions as soon as possible. I want you to have a clear mindset before taking the action. Enroll Today & Become a Master Fashion Artist!